Ship was everything I had hoped for and more. Service & staff were amazing. Ports of call, transportation, tours & tour guides were great! We chose Viking to celebrate our 30th wedding anniversary because of the ports of call, the emphasis on culture and experience and the excellent ratings. In short, we were not one bit disappointed - everything lived up to or exceeded our expectations. The next day after arriving home, we pulled out our Viking brochure and began to dream about our next adventure. Very highly recommend! This is the first ocean cruise for us with Viking. We have been on Viking river cruise twice. The ocean cruise is equally impressive. Large cabin, excellent food, and service. We’ll consider other Viking route in the future. 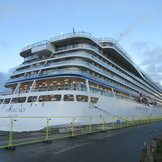 Viking sky is an exceptional ship. It is amazingly simple in design and is beautiful. The art is exceptional. The staff are absolutely wonderful. They are professional, friendly, and try to meet your every need. 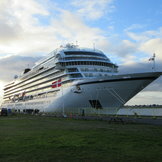 Viking Sky is a really special ship, and this was the best cruise I've ever taken. The staff and crew are wonderful and want you to have the best vacation possible, the ship has a lot of space for everyone and is very relaxing and beautiful, and the food is really good. Also, drinks are very reasonably priced! It was only about $7.50 for most cocktails, and gratuity is included in that price. Viking is the way you want to travel. Stress free from beginning to end Staff on Viking Sky was exceptional. I'd love to sign up a Chinese speaking river cruise in Europe but strangely nobody onboard could provide me with a contact number or email. It's a mystery to me why Viking makes it so difficult for non China Chinese to book such tours. Doing so will enable me to bring along my parents and their friends who don't understand English. All in all, it was pretty good. Like I said, the first few days were fairly rocky, albeit with some high points, but we were by no means alone in our frustration and anger at shore excursions, food quality, and staff who seemed clueless. Many people we spoke with agreed that it felt like a shakeout cruise, and we were all guinea pigs. But by the fifth or sixth day, things improved dramatically (at least for us -- we heard some people were very upset about a botched schedule with shore excursions in Bergen). I think once Viking gets a little more experience doing ocean cruises, and has done this itinerary more than a couple of times, things will go much more smoothly for future passengers. One thing for sure -- they are willing to learn from mistakes/complaints and fix things on the fly. The assistant restaurant manager even sought us out at lunch one day to thank us for our comments on the food and to assure us that they were taking all comments seriously. We had 9 wonderful days of a 13 day cruise. Unfortunately, on the 14th day we encountered 40 foot seas and 50 mph gale force winds. Our ship lost all four engines. We were at the mercy of the sea and wind. We were 100 meters from ending up on rocks. A 40 foot wave crashed in on us from 2 decks above. We were under 6 feet of water in our muster station. I thought we would be swept out to sea. I sustained a leg injury. 13 hours later we were air lifted off the ship. The crew was amazing. All-in-all we had a wonderful experience. It should be noted that for those cruising to see the Northern Lights, Mother Nature is fickle. The Lights may not be seen at all or are limited. The embarkation process was so bad that it nearly spoiled the entire cruise. But things got much better once onboard. Overall a great trip with wonderful ports. Food and service were excellent. Better options in the Caribbean. Have taken Viking Ocean before. Does not come up to their standards. Had a good time, I wish there were longer hours at torshavn bar, I enjoyed the staff the most, these people were incredible!!!!!!!!!!!!!!!!!!!!!!!!!! !